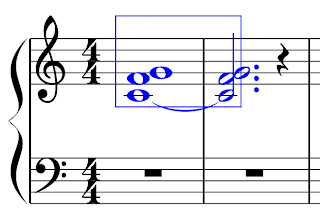 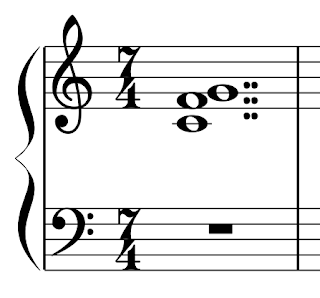 Just a music-theory-FYI, each dot equals half the note value of the note/dot to its left, i.e. the first dot in our example has a value of 2 because 4 (a whole note's value) divided by 2 equals 2 (4/2=2), and the second dot has a value of 1 because 2 (a half note's value) divided by 2 equals 1 (2/2=1). 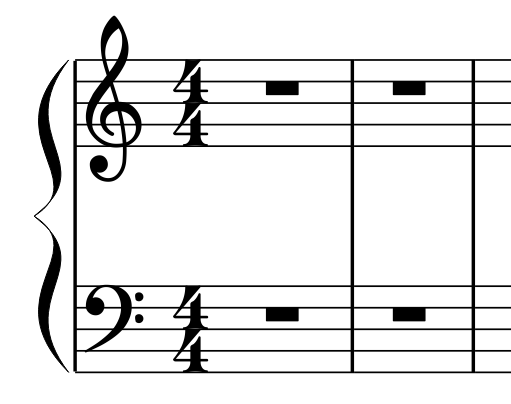 So, since making a 7 beat triad chord in 4/4 time is what is difficult (it's easy in 7/4 time), I'll now show you how you do it. 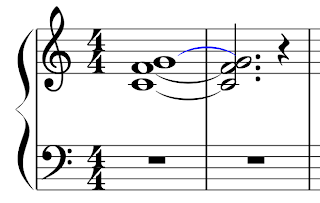 To do this, simply select the top tie and press "x". 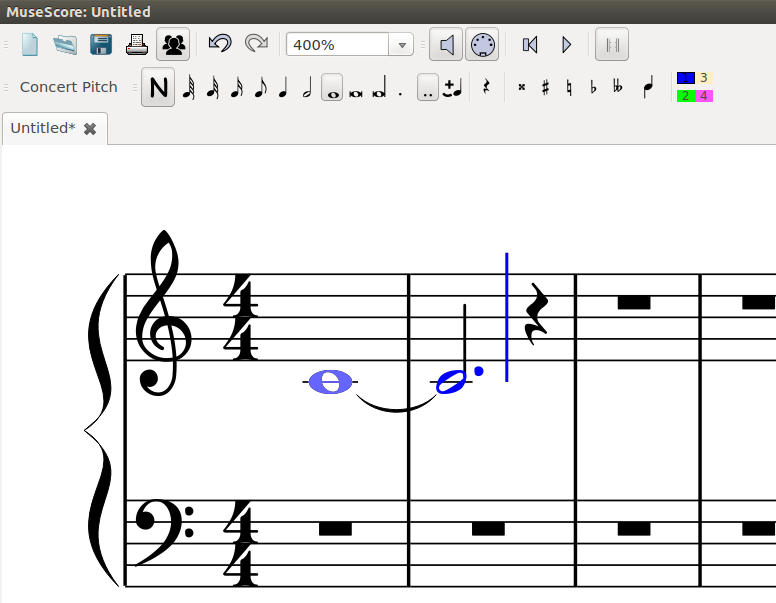 According to Nicolas, the next version of MuseScore will do this automatically. 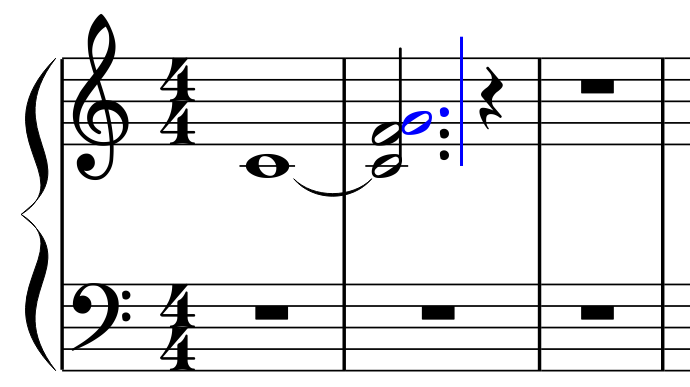 I'm not able to proceed past click on C4. 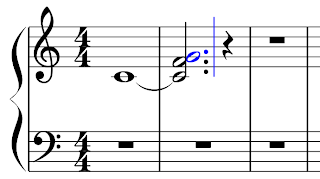 The next note is not automatically selected for me. 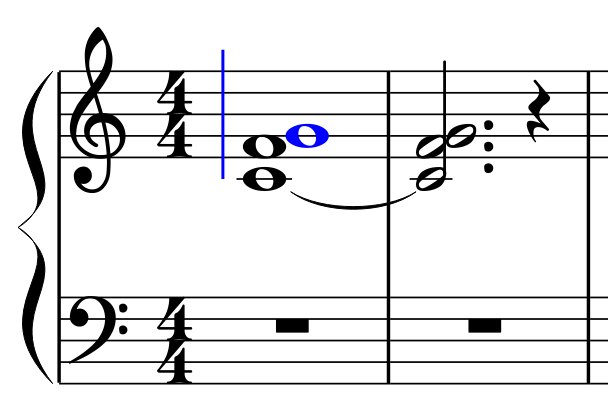 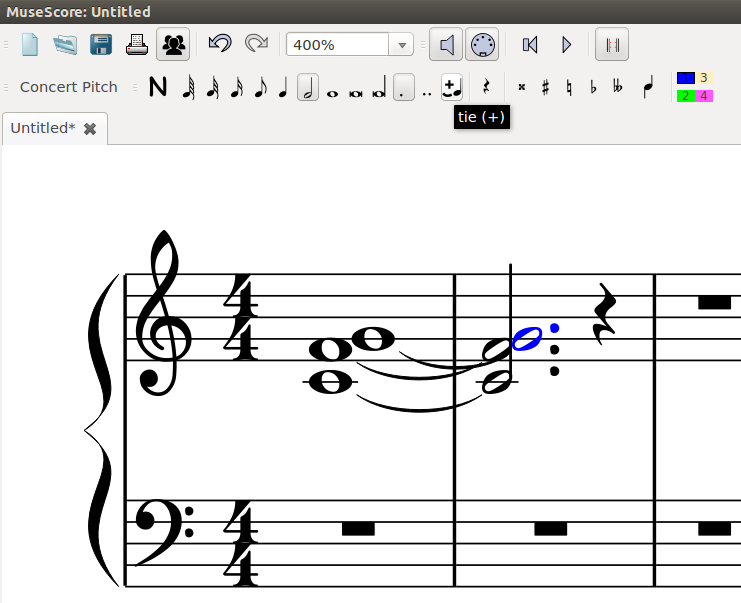 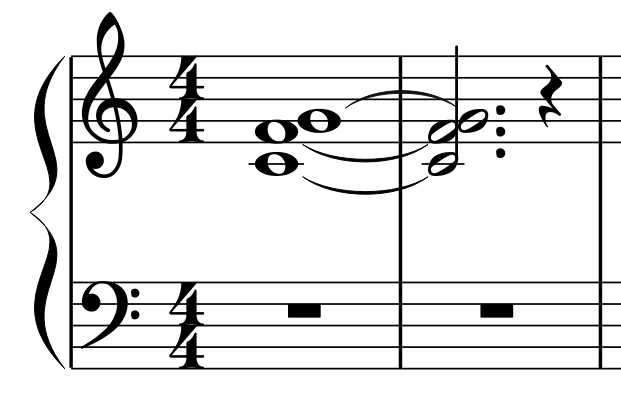 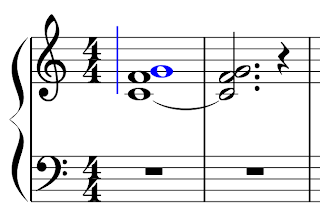 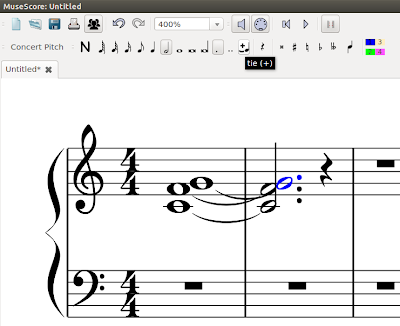 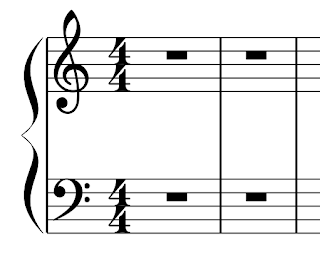 try manually selecting the note in the second measure, then proceed.